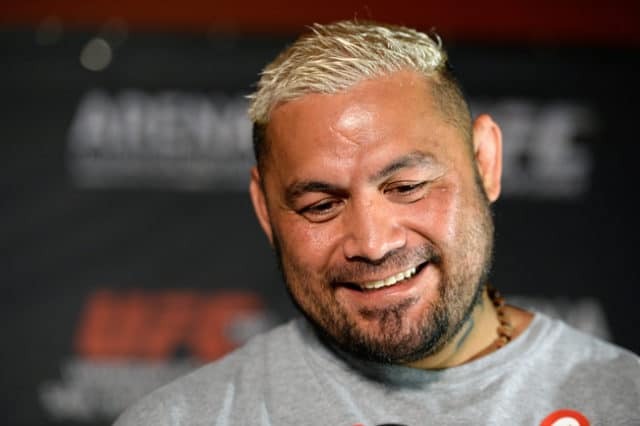 UFC Fight Night 136 headliner Mark Hunt has been outspoken about his dislike of performance-enhancing drugs and the fighters who use them. Specifically former UFC heavyweight champion Brock Lesnar. Lesnar defeated Hunt at UFC 200 via unanimous decision. 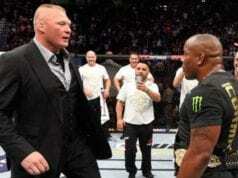 However, shortly after Lesnar was notified of a failed drug test stemming from a performance-enhancing drug. The win would later be turned to a no contest. That was the last time Lesnar competed in MMA. But the “Beast” is back. 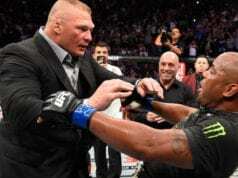 And it looks like Lesnar is going to get an immediate title fight with heavyweight kingpin Daniel Cormier. Submission Radio recently caught up with Hunt and asked him his thoughts on the rather unusual heavyweight title fight. The 44-year-old Hunt realizes he is nearing the end of the road. But before the “Super Samoan” can think of retirement, he must first face off with Russian contender Alexei Oleynik in the UFC’s first trip to Russia. Regardless of the outcome, as long as Hunt emerges relatively unscathed from his main event fight against Oleynik, he may very well get his wish. The UFC is returning to Australia on December 2 for UFC Adelaide.